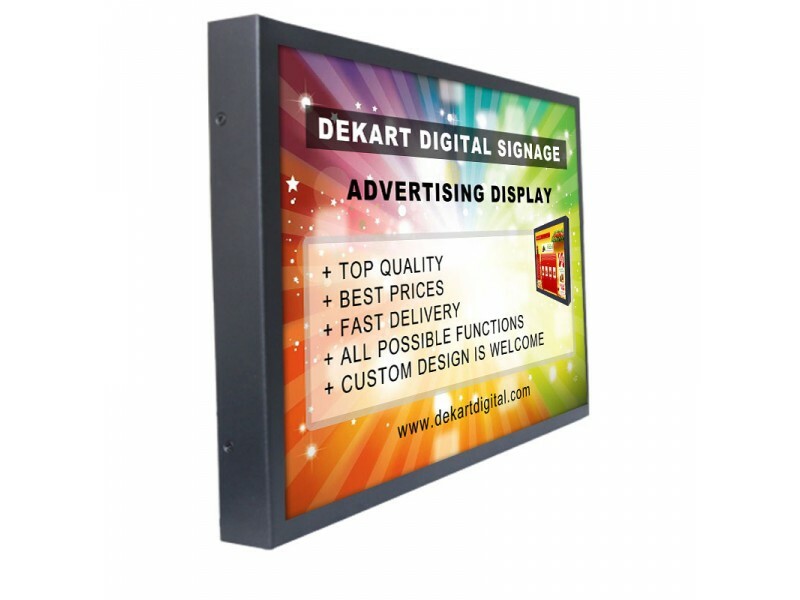 12 inch Digital advertising display ADBOX-120. 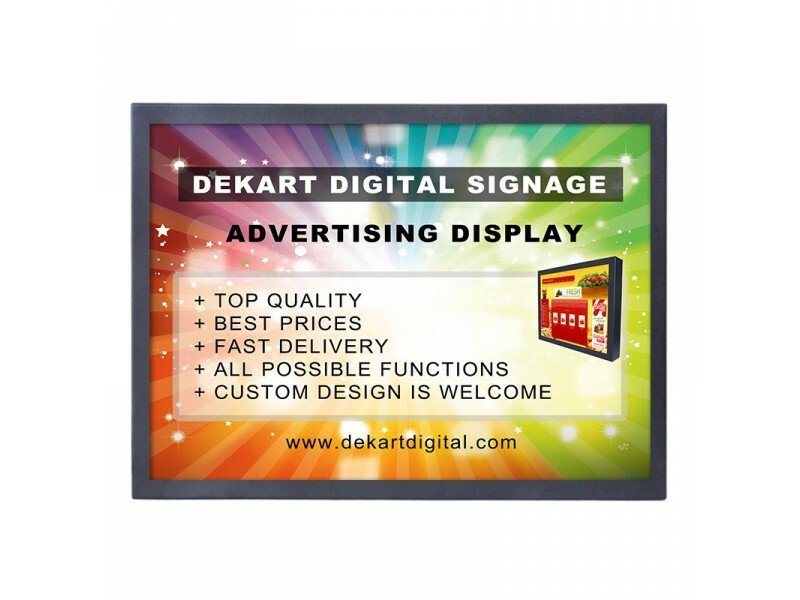 Check price for 12" digital signage display and buy displays online. 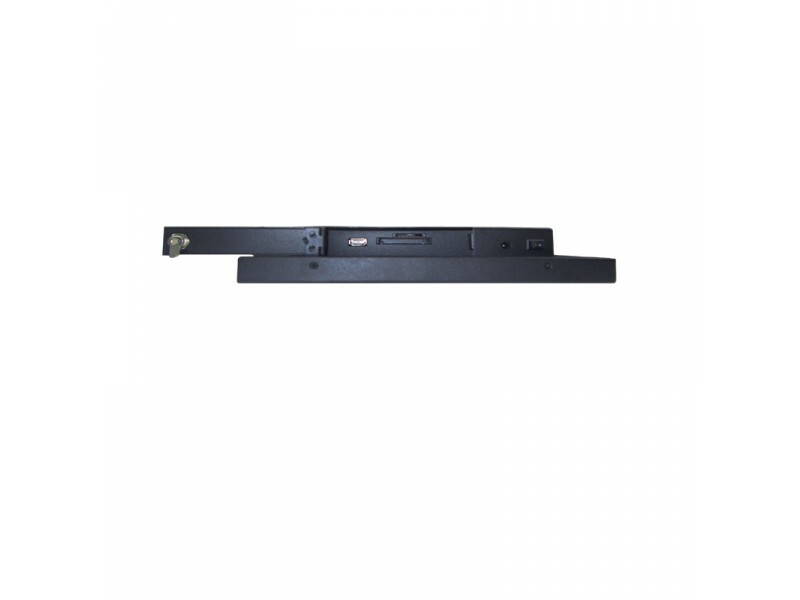 12 inch Digital Signage display ADBOX-120 is great solution for advertising in retail stores, in shop windows, and at the reception. 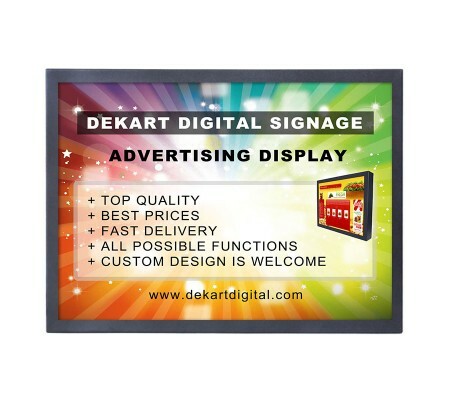 Bright advertising screen shows a custom banner ads and video files with high resolution. This vandal-proof advertising monitor has an aspect ratio of 4:3. 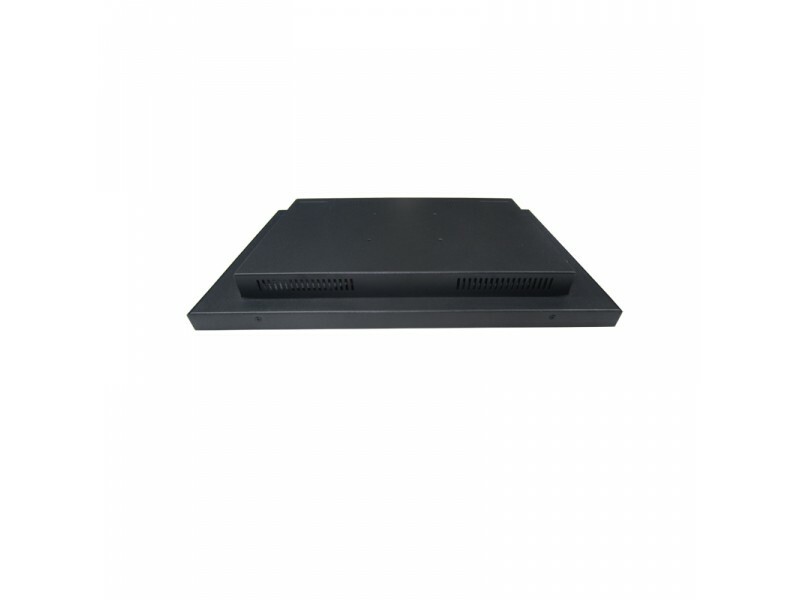 There are all the necessary equipment for automatic operation integrated inside display – power supply, digital signage player, card reader for USB and SD flash. The pictures on the digital signage display perfectly highlighted with a LED backlight, emphasizing clarity, brightness, and high quality picture. 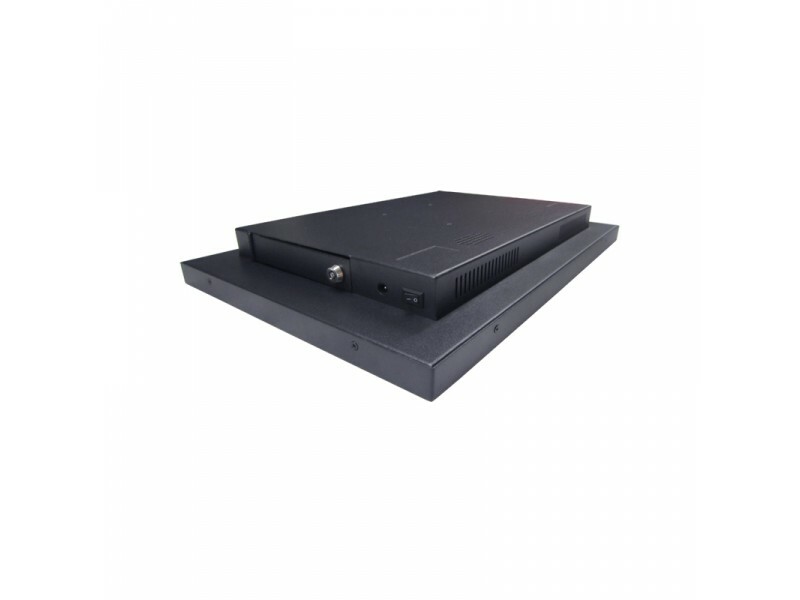 ADBOX-120 Advertising monitor is equipped with a standalone advertising player, or digital signage player with management over the Internet. Any of these players support popular formats of JPEG photos and slides, and AVI videos. Liquid crystal display capable of displaying digital image offline - without a computer or an external player. ADBOX-120 commercial display with high resolution screen can read videos from a memory card and USB2.0 flash drives. Advertising screen for business use (commercial advertising display) can be set to show your favorite pictures and videos on a circle, without turning off and any service.